Gift certificates are to be treated as cash. 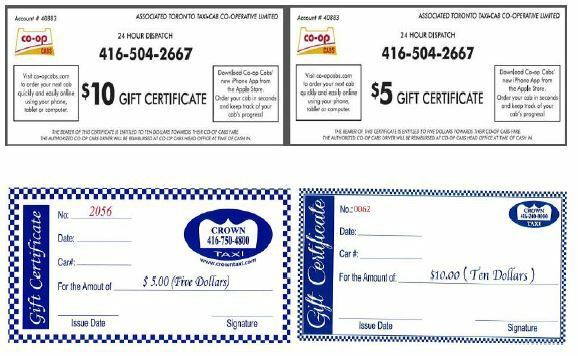 Operators must accept Co-op Cabs/Crown Taxi gift certificates and provide CORRECT change, if necessary. A.T.T.C.L. has a Loyalty Program in place; this is the option we give instead of personal accounts, which we do not provide. Instead, our Loyalty Customers purchase gift certificates to use as payment. Do not refuse to accept or provide change to customers using gift certificates as payment.